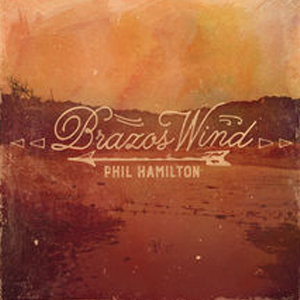 Phil Hamilton’s music has been a staple in the Texas music scene for over 7 years and has made his mark with powerful songs and a captivating show to back it up. Hamilton signed his first deal with Winding Road Music and from the first record, Nothing To Lose yielded his first single landing in the top 15 on the Texas Music charts. This debut album also delivered the follow up hit “Nine Mile” shortly after. Having set the bar high for success, Phil dove straight in with his sophomore record Renegade Rock N’ Roll showing a more mature side of his music as well as an honest look at life on the road. Renegade Rock’n Roll delivered 1 top 10 single and 3 number one hits on the on the Texas Music charts including one of his strongest tracks “Bad”.” Things moved quickly for Hamilton and the band, leading to his third release Live from the Whiskey Girl. With a powerful, raw, live recording coupled with 2 new studio cuts, “Hold on Tight” which also hit top 10, and “Tragedy” the future was never more clear for Phil and his music. Life changes, and love was found. Phil’s marriage to Texas Music singer/songwriter Erica Perry, and the birth of their first child June, led to the newly released record Brazos Wind. With songs so compelling, Brazos Wind has already been said by many to be the best record of 2016. Phil challenged himself once again to take his talents to a higher level and, delivers with incredible lyrics and a voice that grabs attention. Brazos Wind is a very up close and personal look into Hamilton’s life over the last couple of years and tells his story with each soul stirring song. With the new single “Big News Small Town” already hitting radio airways and a number of new tracks just as strong, Phil has hit the road once again booking shows all over the state. Having recently partnered with Artist Events Nashville agency for booking, his secure label home with Winding Road Music and his talents both as a writer and a performer Hamilton remains steady on his successful path.